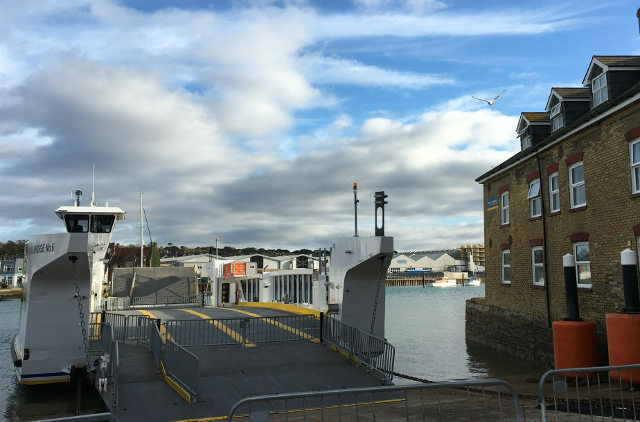 The Isle of Wight council set out what happened with the Cowes floating bridge on Friday night and how they are remedying the situation. What the problem was and what caused it? The south west chain which is part of the operating mechanism for the prow failed. This was an operational incident and it is important to remember that we are still in commissioning trials. This incident is not linked to the depth chain testing, which had been taking place on Thursday and Friday. At approximately 7pm on Friday 2 February. Is this connected with the change of ferry in terms of additional weight etc.? Were there any public safety issues? Whilst the incident occurred when the vessel was moving from Cowes to East Cowes, the prow itself was held in place by the north west chain and the crew were able to dock the vessel safely and allow all foot passengers and vehicles to disembark. An engineer attended site within 30 minutes of the incident occurring and attached a temporary strop to secure the south side of the prow. However, due to the strain on the remaining chain the decision was taken to immediately suspend the service. The floating bridge has been taken out of service and a replacement launch service provided Friday night and over the weekend and will continue this week until further notice. All roadside signs have been updated. The ferry builders/engineers were contacted Friday evening and they arranged for spares to be delivered to the council over the weekend with works commencing on site today (Monday) to repair the breakage. The Maritime and Coastguard Agency have been advised and they have confirmed that they do not need to inspect either the failed components or the works when they are completed. What interim service is in place? The replacement launch has been booked daily from 05.00 to 22.30 and this will remain the case until the vessel is back in service. The councils dedicated floating bridge website – www.IWfloatingbridge.co.uk – has been updated with this information. What we are doing to fix the problem? The ferry builders/engineers have sent spares to site with work starting today (Monday 5 February); all chains are being replaced. Whilst work has commenced, the vessel is unlikely to return to service until later this week as it will be subject to fitting all necessary spares and testing. We will provide updates on this throughout the week. 2 Comments on "Floating Bridge failure: Council explains what happened"
So we are told what happened (a prow chain broke) but we are not told why. Isn’t this a rather important omission? When will be be told?